Product Name : Router Bit;Type : Double Edges ;Cutting Edge Diameter : 13mm/ 1/2"
Shank Diameter : 13mm/ 1/2";Blade Length : 30mm/ 1.18"
Can be used to cut materials like this: plywood, hardwood and soft wood. 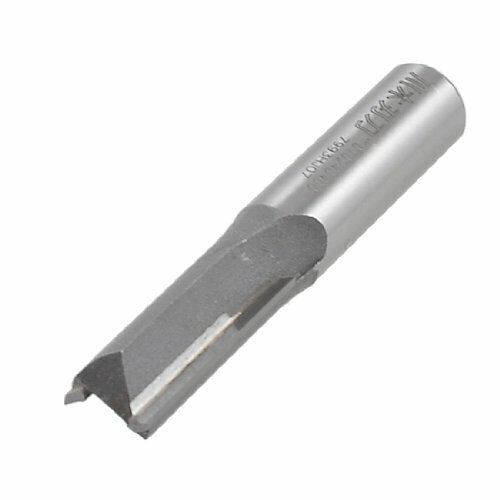 This Router Bit is double straight flute type, fast for wood cutting use. TK9K® - Power Tool Accessories Router Cutters Biscuit Cutter No.10 & 20 1/2" Sharp TCT cutting edges. Interchangeable bearings convert from No.10 to No.20 biscuit.